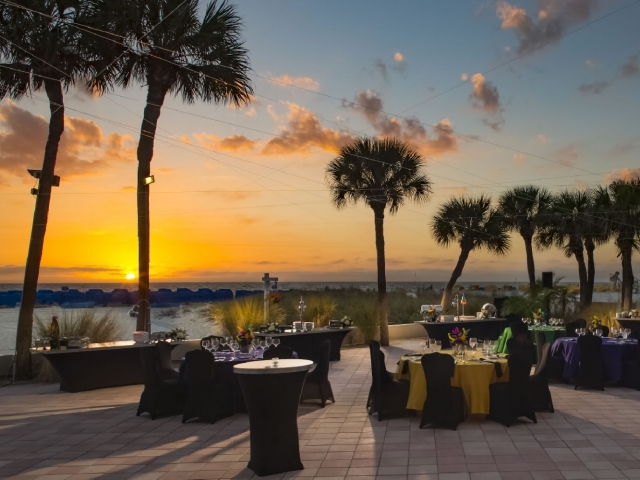 Take a 360° tour of TradeWinds Island Grand Beach Resort. Breck Deck is the most spacious deck at 2,200 sq. ft. and only steps away from the sand on St. Pete Beach. Newly renovated guest rooms and suites! All phases scheduled to be completed by end of 2020. Enjoy a fresh new look with upscale Florida coastal vibe. 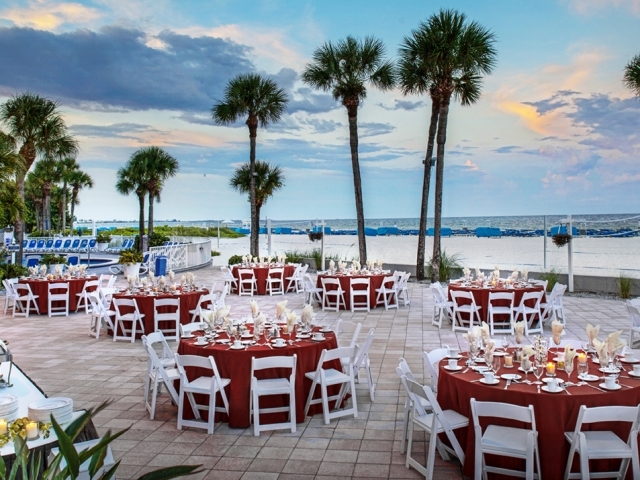 The Pavilion offers 10,584 square feet with unobstructed views and can accommodate up to 1200 guests. The 8,400 sq. 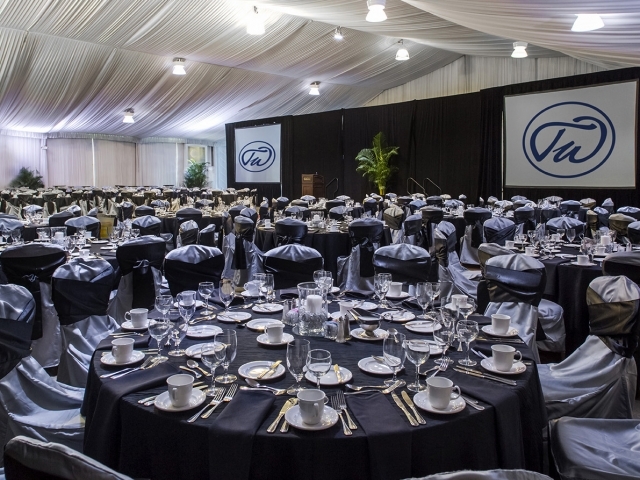 ft. Island Ballroom offers a grand setting for banquet dinners and large meetings, with unobstructed views, truck access and flexible sections. 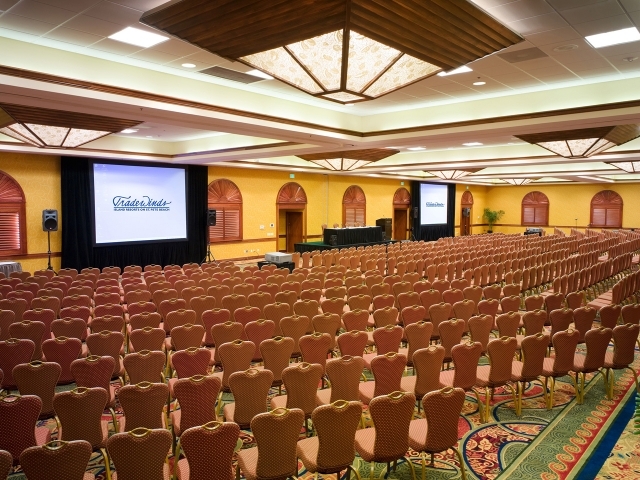 The Grand Palm Colonnade offers 7 second-floor meeting rooms with ample space for breakout sessions. Groups also have access to two lockable meeting planner offices. 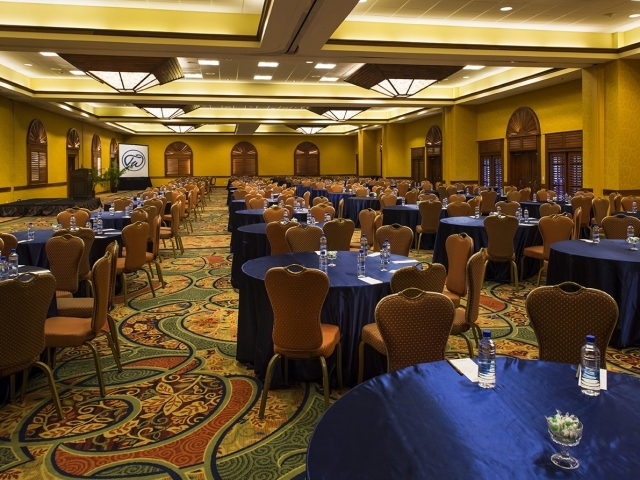 Just off the Grand Palm Colonnade?s pre-convene space, the Island Ballroom offers a grand setting for meetings or banquet dinners with 8,400 sq ft of space. 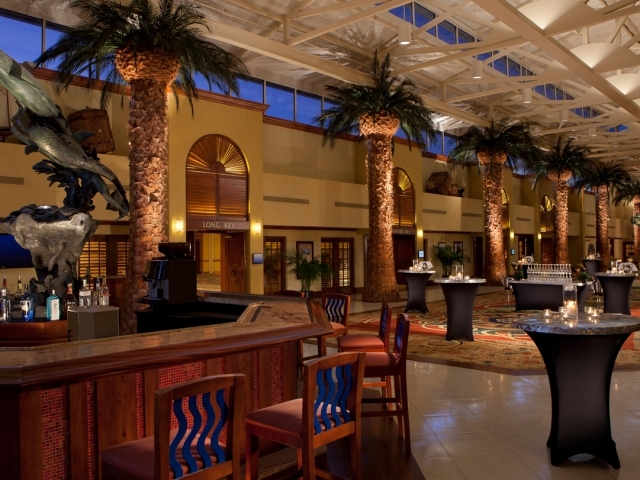 The Lobby at Island Grand opens up to the Grand Palm Colonnade, 8400 sq ft. Ballroom and its 7 second floor meeting rooms. 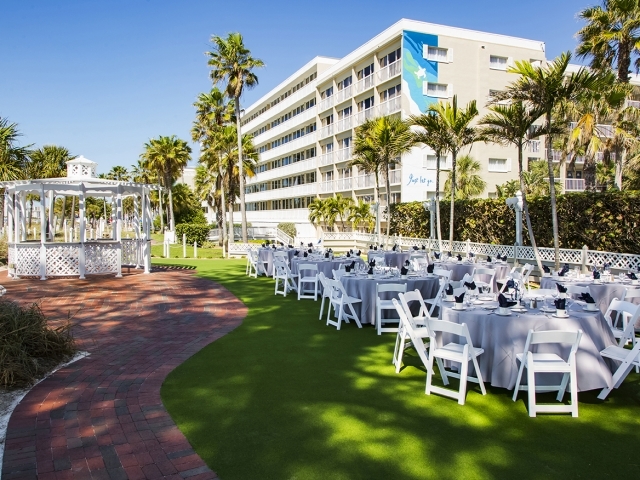 Cross over the meandering waterway to South Beach Lawn, the perfect place for evening receptions at 2,580 sq. 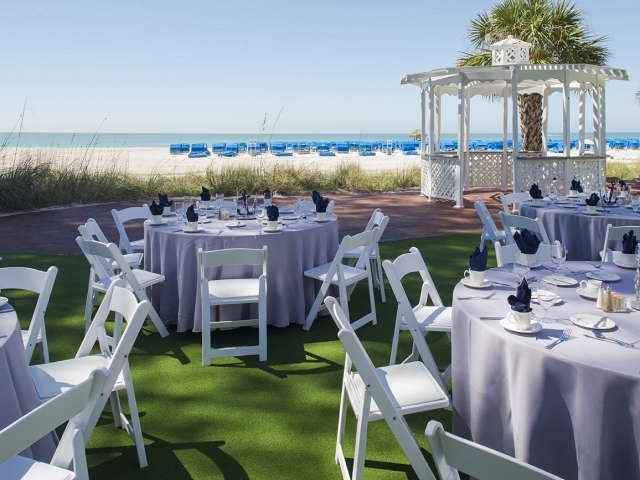 ft.
South Beach Lawn stares out into the Gulf of Mexico, the perfect place for evening sunset receptions. The Pavilion, with its unobstructed views, is a blank canvas that features white tented ceilings. Offering truck access, the space is also ideal for exhibitions. With seven sectional rooms, Jacaranda Hall can be divided into smaller venues or combined into one large hall. A 1,232 sq. ft. foyer is ideal for pre-convene space. The Palm Court Terrace overlooking the lush tropical landscaping of the 6000 sq ft. Garden Court Yard. 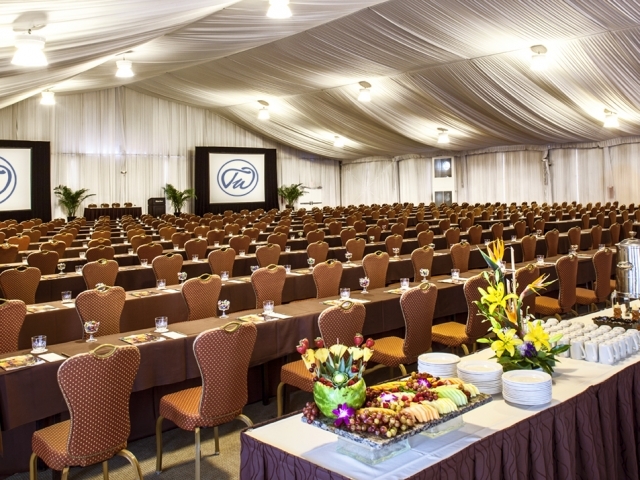 The Island Ballroom offers a grand setting for banquet dinners with unobstructed views, truck access and flexible sections. With views of St. Pete Beach, Breck Deck is our most spacious deck at 2,200 sq. ft. and only steps away from the sand on St. Pete Beach. 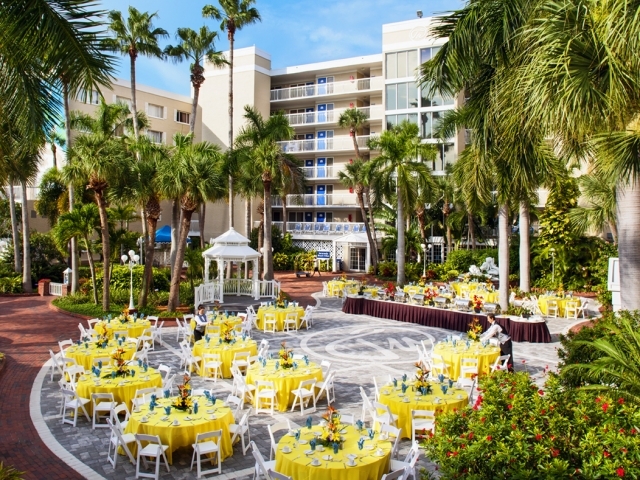 The Garden Courtyard offers a perfect venue for outdoor luncheons and evening receptions. From this 3,500 sq. 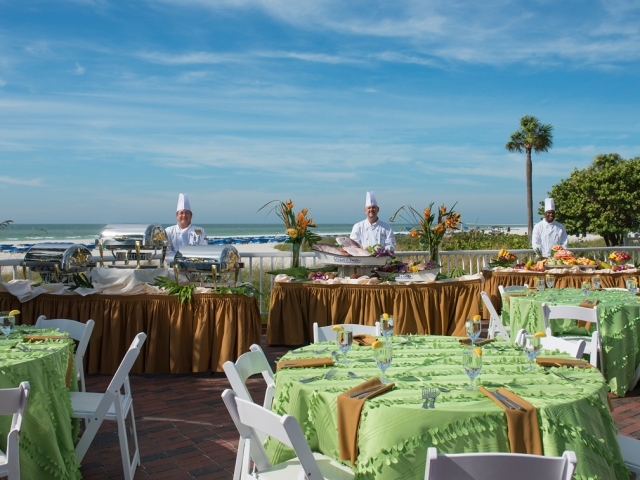 ft. terrace, enjoy the ocean breeze drifting off the Gulf of Mexico. Sea Breeze Terrace is conveniently nestled near the hotels main pool. The Cypress Villa is an ideal 900 sq ft. hospitality suite with two bedrooms, two baths, a large living area, full-size kitchen and 400 sq ft. balcony. 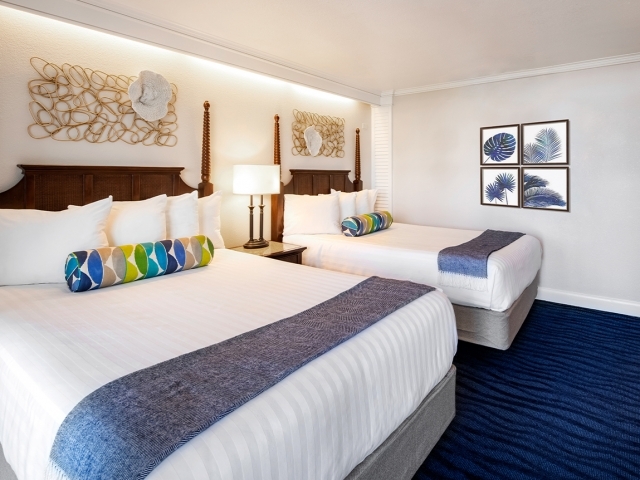 The largest beachfront meetings resort on Florida's west coast is excited to announce a $13 million guest room renovation, with all phases scheduled to be completed by 2020. 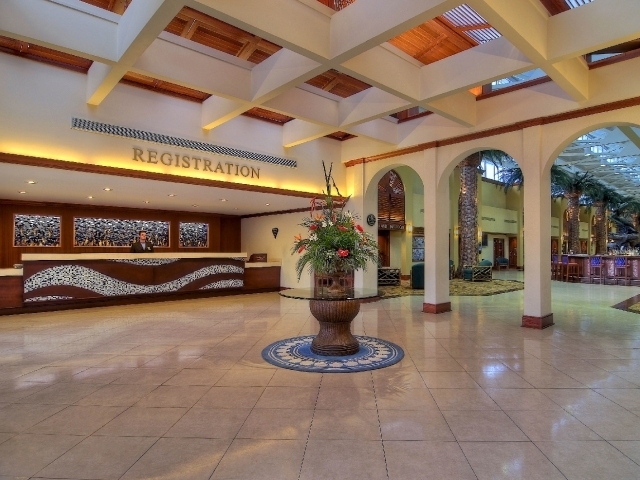 Flexible meeting space with 28 breakout rooms, tropical courtyards and beachfront terraces can accommodate up to 1,000. 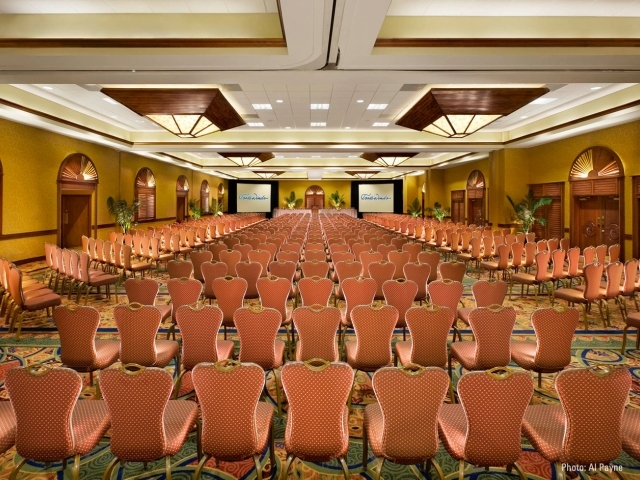 A long-tenured convention services team makes planning events a breeze. 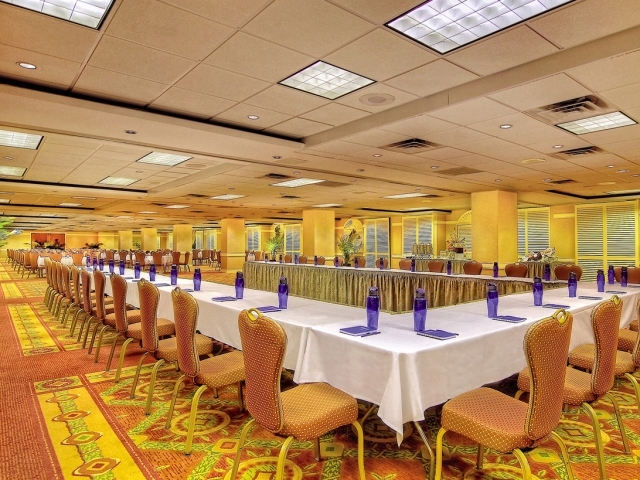 Diverse dining portfolio include RumFish Grill® and top-rated Palm Court. 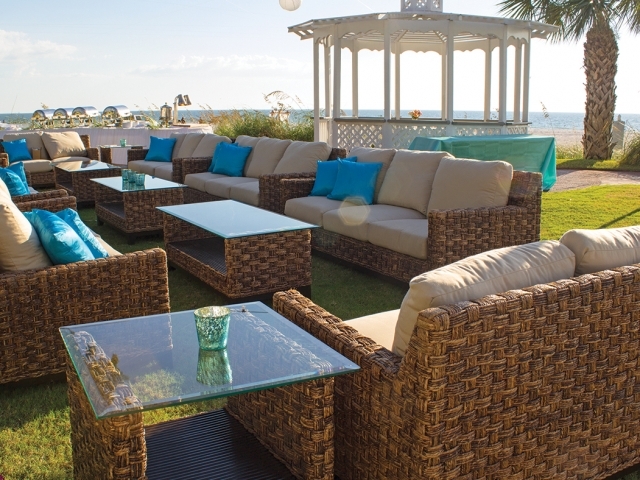 Enjoy beach cabanas, spa, tennis courts and more!